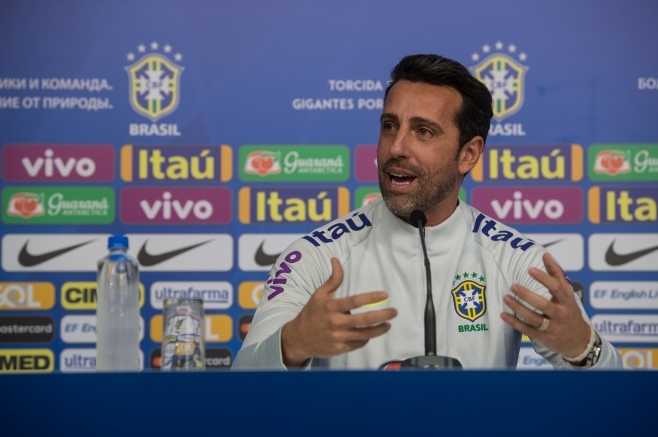 Brazil’s selection co-ordinator says that the squad and technical staff for the Seleção are “in a special moment of our lives” as preparations are under way for this summer’s World Cup in Russia. Players reported for duty today as training begins ahead of the tournament, with the exception of Marcelo, Casemiro and Roberto Firmino, who are involved in this Saturday’s Champions League Final. “We are in a special moment of our lives, our professional careers,” Edu said. “From a lot of security in the decisions that are being taken, regardless of the quantity of games that the players are playing. Brazil will train in London ahead of a friendly against Croatia at Anfield on 3 rd June, before taking on Austria in Vienna on 10 th June. Brazil’s first game in Russia takes place on 17 th June.